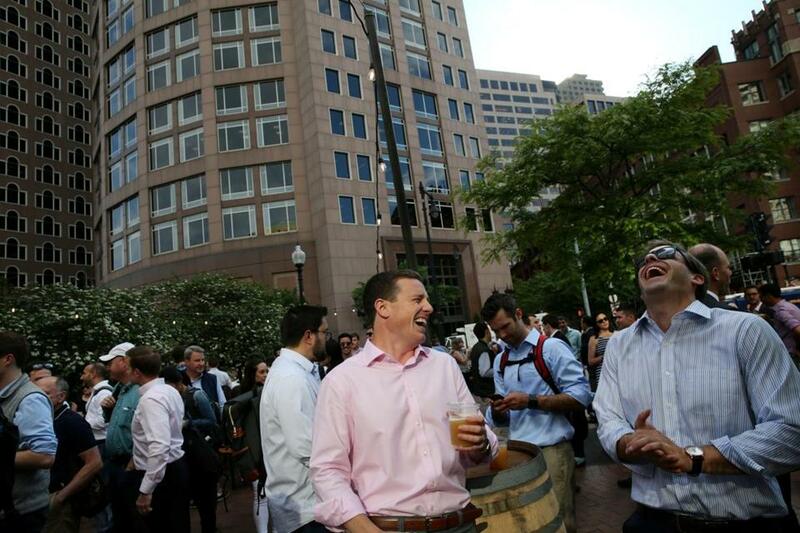 Colton Dwyer, left, and Matt Quinlan shared a laugh while visiting Trillium’s beer garden Thursday. 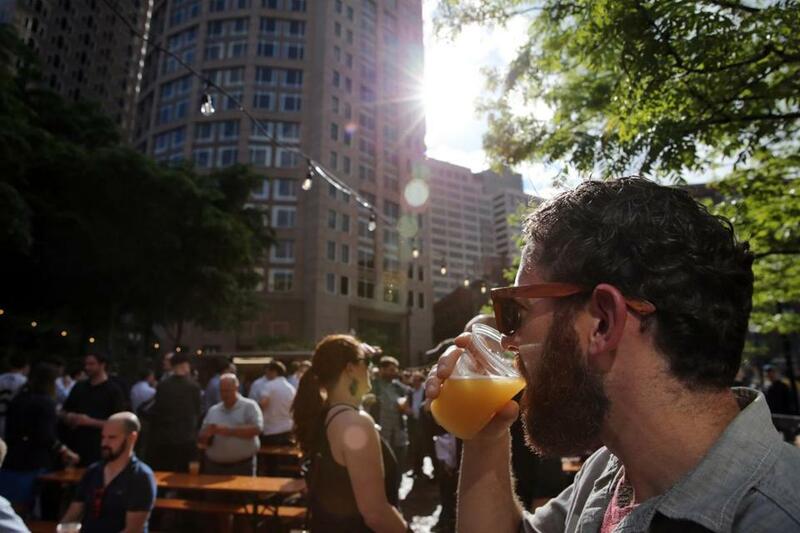 Massachusetts brewery Trillium has opened its outdoor beer garden on Boston’s Rose Kennedy Greenway. Here’s a look at the open-air site. 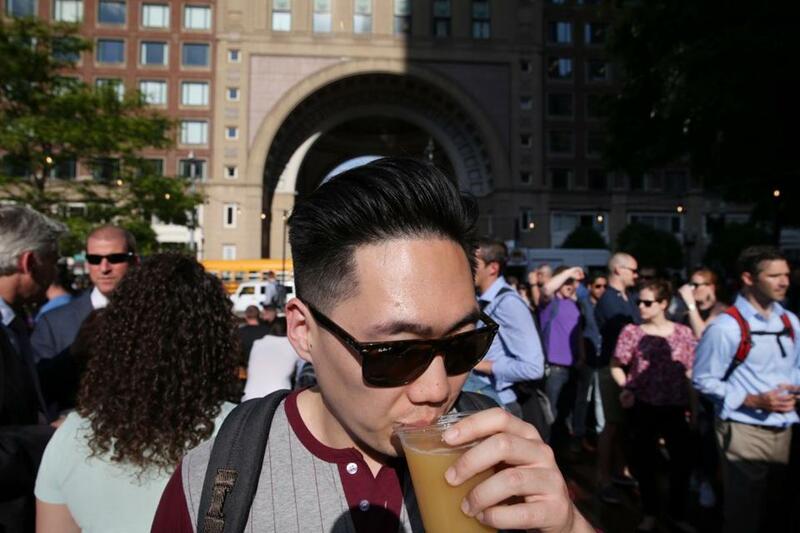 Chris Choi drank an IPA. Derek Swart enjoyed a “Little Chicken” pale ale. 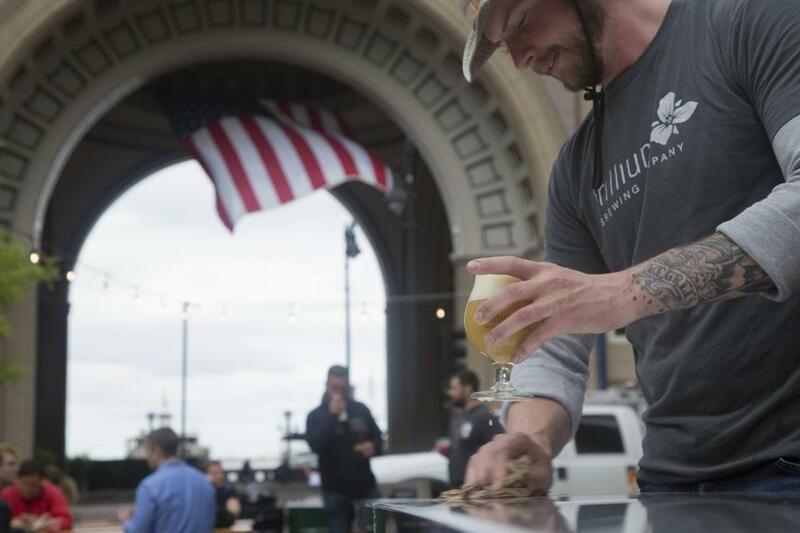 Massachusetts brewery Trillium opened its outdoor beer garden on Boston’s Rose Kennedy Greenway Thursday.